We left the lounge at 22:05 to head to the gate which is just next to the lounge but was left waiting for more than 20 minutes by the gate. Announcements in Spanish only meant we had no idea until the monitor indicated a new departure time of 23:30, indicating a delay of 40 minutes in which time we returned to the lounge to grab some water and relax first. 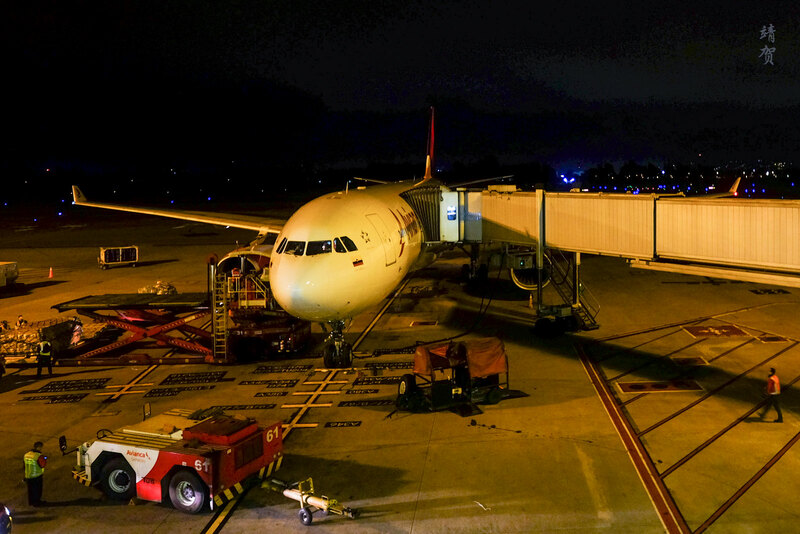 Boarding was eventually conducted at around 22:55. Welcome drinks were offered with choices of orange juice, water or sparkling wine. 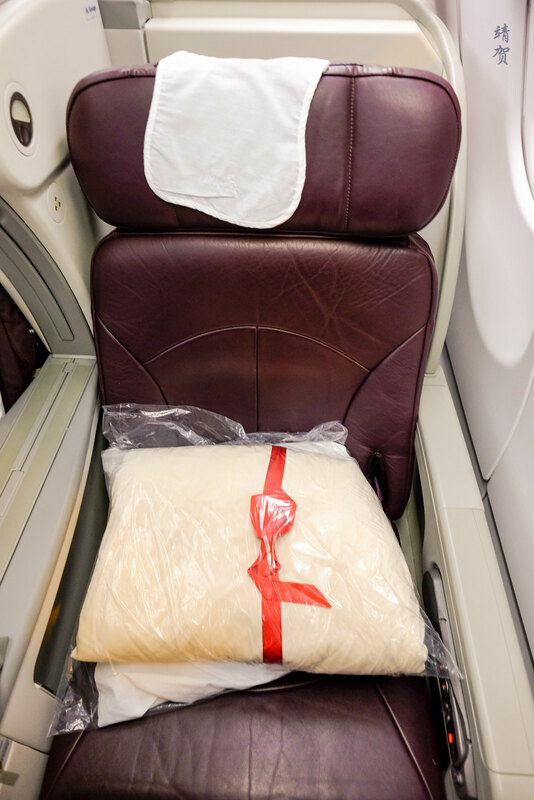 The cabin featured the common angled flat seats found in many Business Class onboard the A330s. 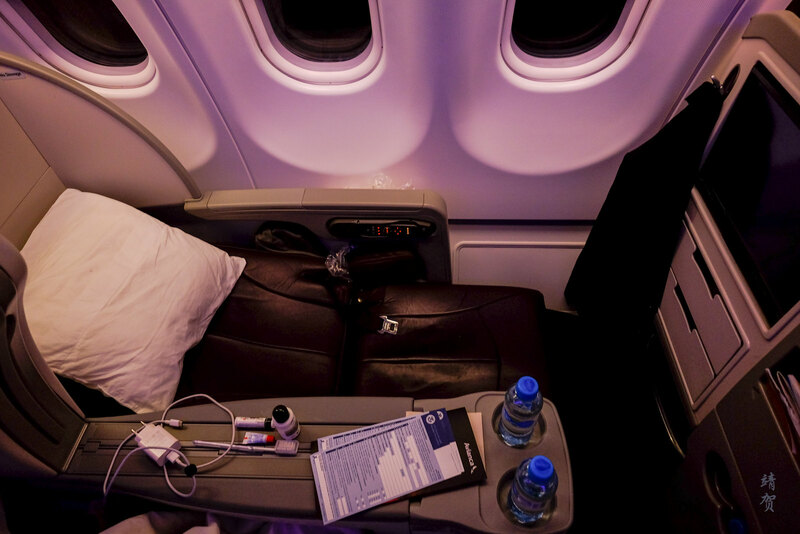 Aside from Avianca, Singapore Airlines, Fiji Airways and China Airlines have the same exact seats in a 2-2-2 configuration. 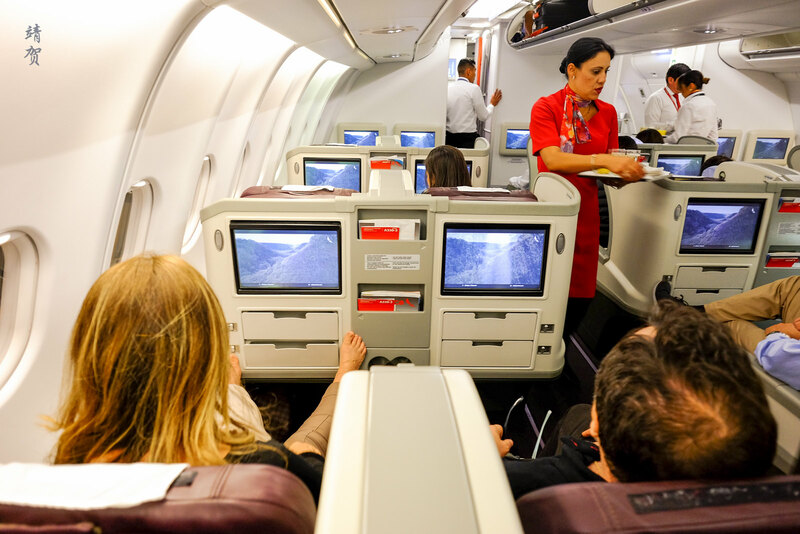 The seatback has several useful amenities like a coat hanger on the left, a magazine holder in the middle, 2 storage compartments that can be locked below the monitors and bottle holders in the bottom of the middle column. On the seat was the comforter and a pillow. 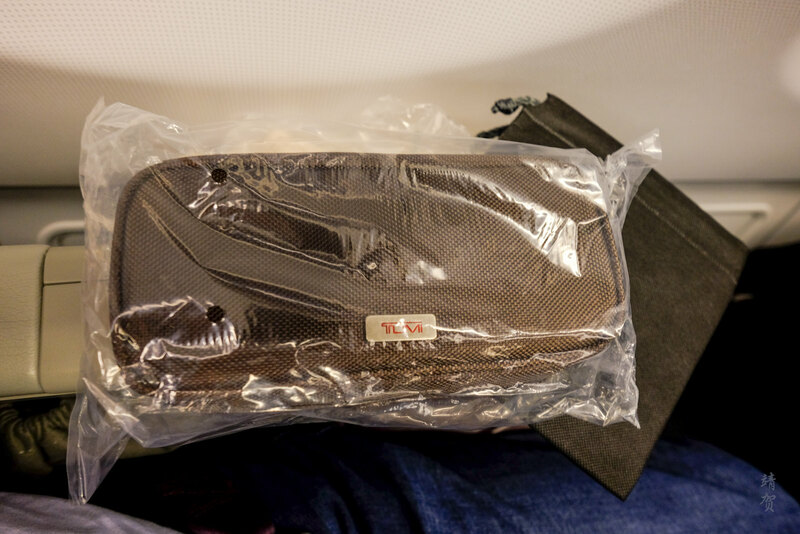 Amenity kits were distributed by the steward from the K side of the cabin. A shoe bag was included with the amenity kit. The amenity kit is the same as our outbound flight and was a soft case with Tumi’s branding. 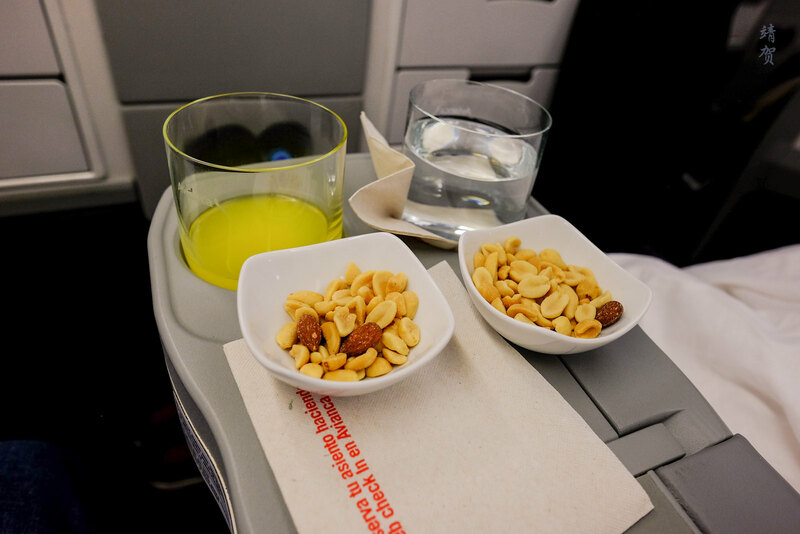 Small ramekin of mixed nuts was offered but the almonds and cashews are sporadic. 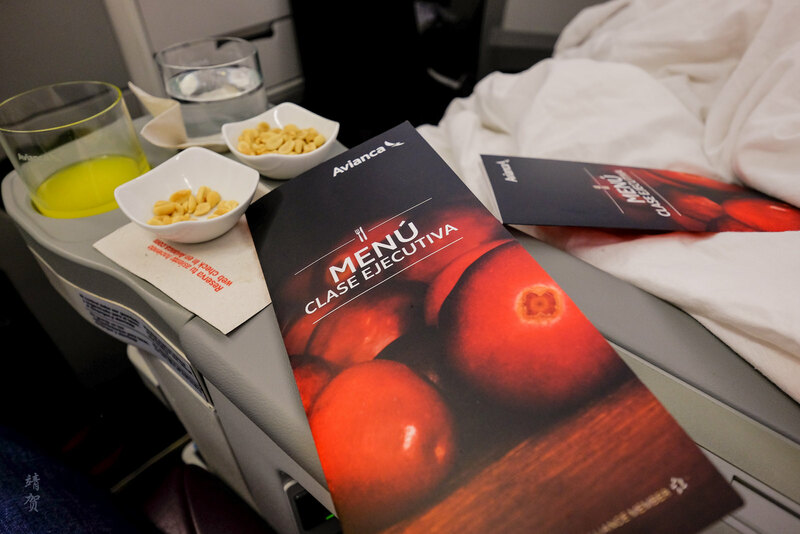 Menus were then given to passengers and a dinner menu is offered after take off. 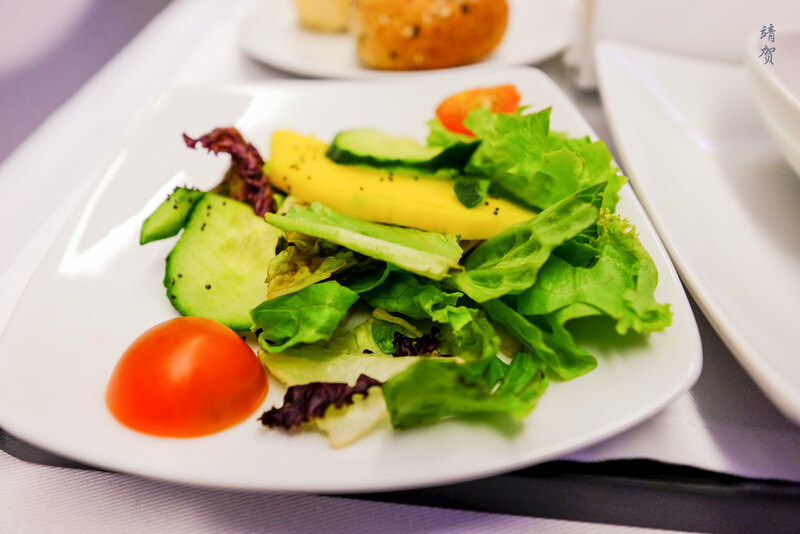 While the boarding was progressing, stewardess mentioned maintenance as the reason for the delay. A flight time of 5 hours is indicated, before the doors closed by 23:18. 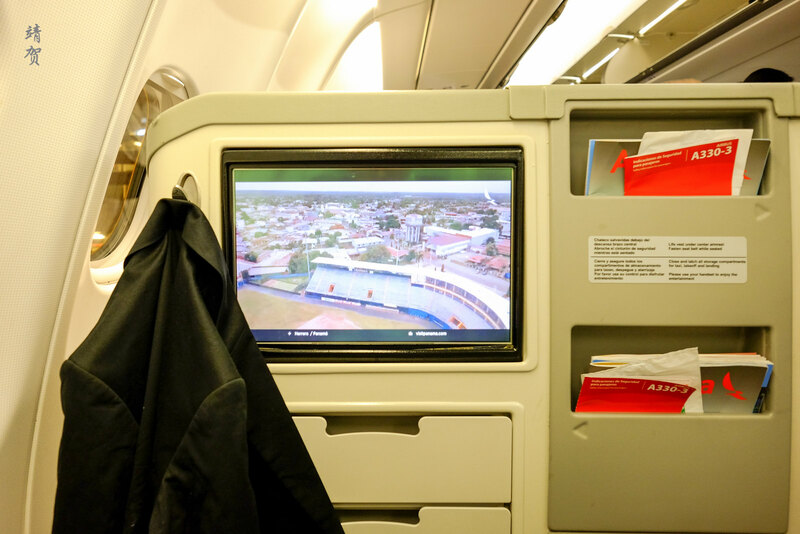 Safety video shown through the monitors in every individual seat as we started pullback from the gates. Customs form handed out to passengers after a smooth take off with no queue for the runway. 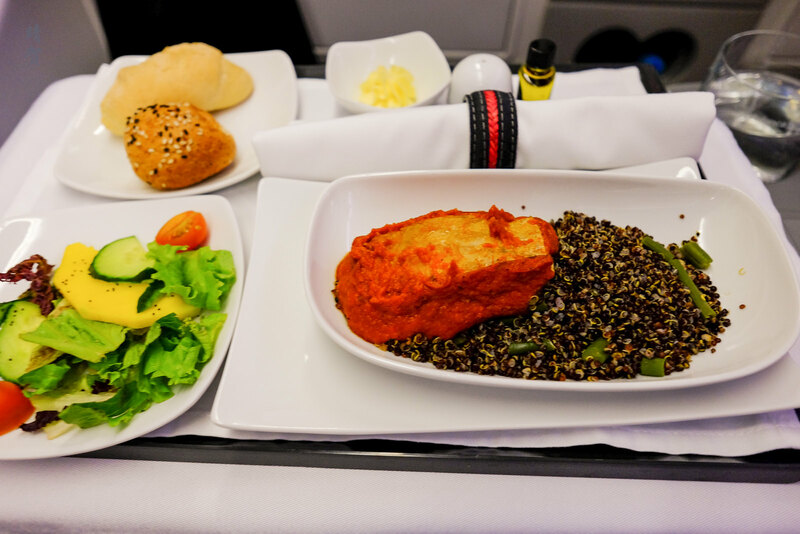 Meal service was conducted around 1am which explains the fact not many passengers bothered to stay up for it since this was not a very long flight and some might have been exhausted from the delay. 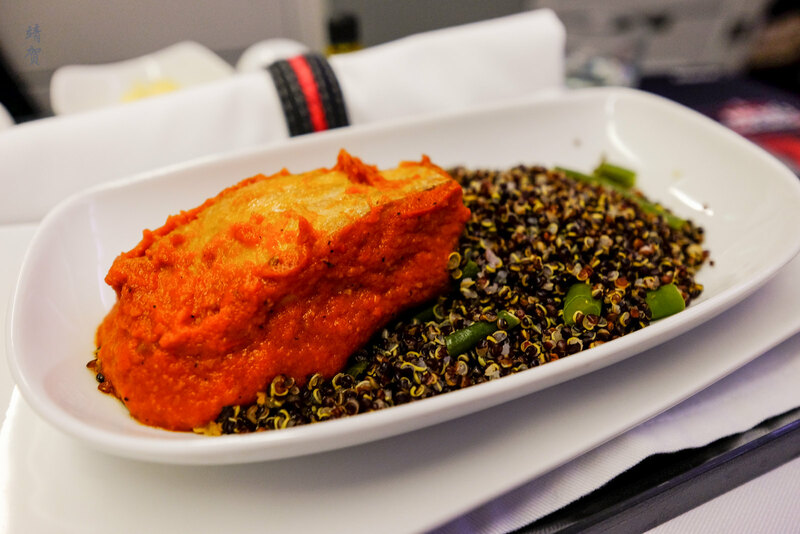 I requested for the seabass main course which was served with black quinoa and green beans. This was served alongside a salad featuring mango, cucumber and cherry tomato. The dish was very unappetizing since it was very dry all around and it basically just served for a photo opportunity after ordering it. I just poked around a bit and decided to just skip the meal and went for the dessert. Dessert was an Oreo cheesecake that had a dulce de leche sauce. 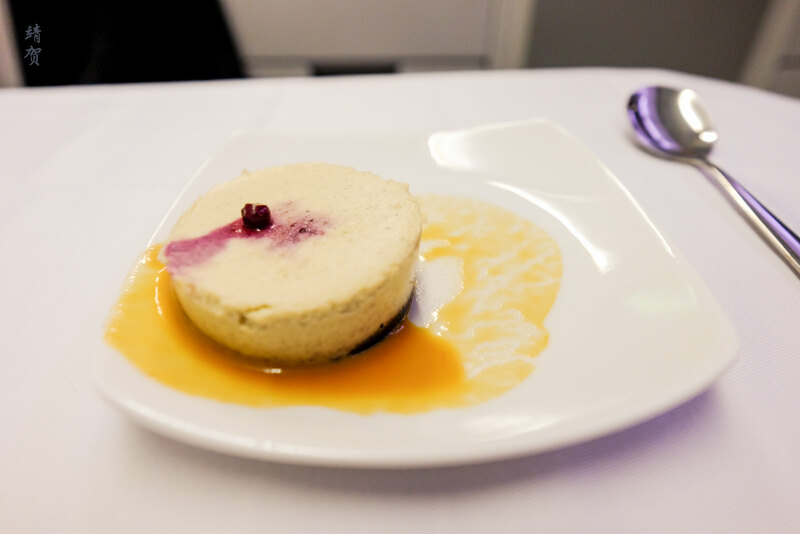 This was the same dessert that I was served from Bogotá to Lima, so maybe Oreo cheesecakes could well be the default dessert for flights out of Bogotá! Fortunately it was enjoyable. 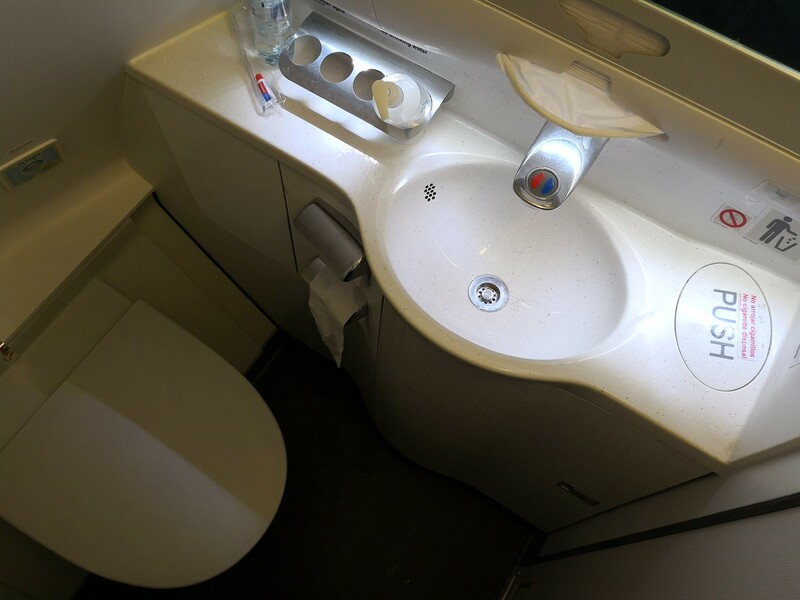 With the quick supper, I made my way to the lavatory to brush up and was greeted with an adequately clean lavatory. The amenities inside just consists of paper towels and hand wash so it was just as basic and barebones as they come. The Tumi amenity kit provided has a dental kit with toothbrush and toothpaste which I used along with a bottle of water from the crew. 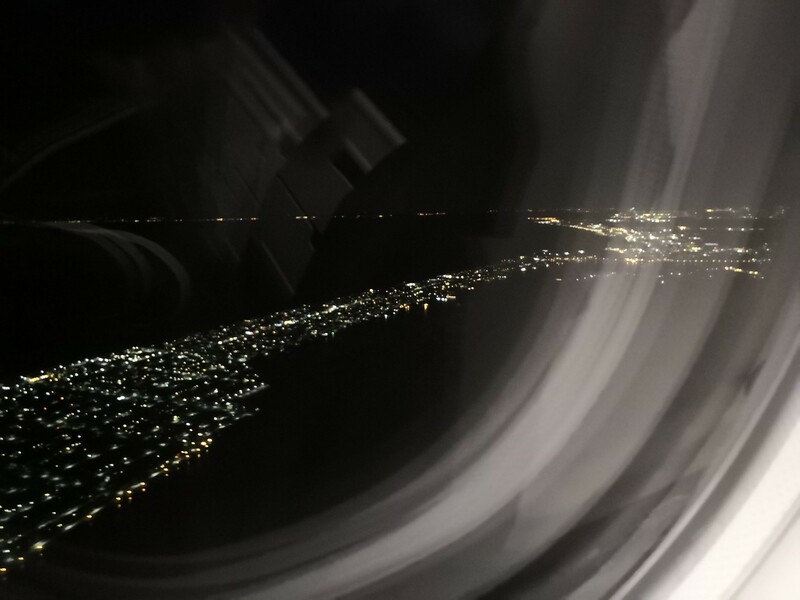 Back in the cabin, the lights have been dimmed for passengers to sleep. Bottled waters were left on the cup holders by the armrest in the Business Class cabin. I reclined my seat to the angled flat mode to try to get as much sleep as possible. Coffee was served to guests who are awake prior to landing, as I heard some sounds in the cabin though I just remained in the relaxing mode. The captain announced our descent around 05:30 and I reluctantly put my seat back slowly upright. 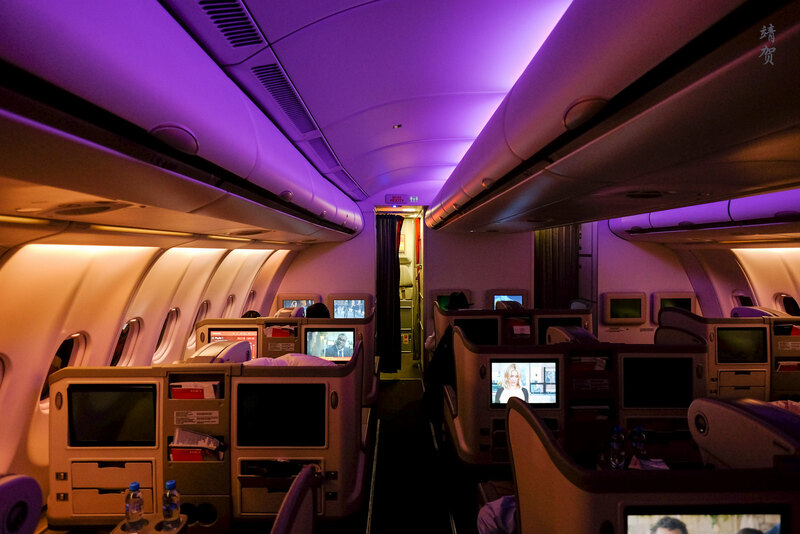 Cabin lights were switched on to allow for the crew to make their rounds. 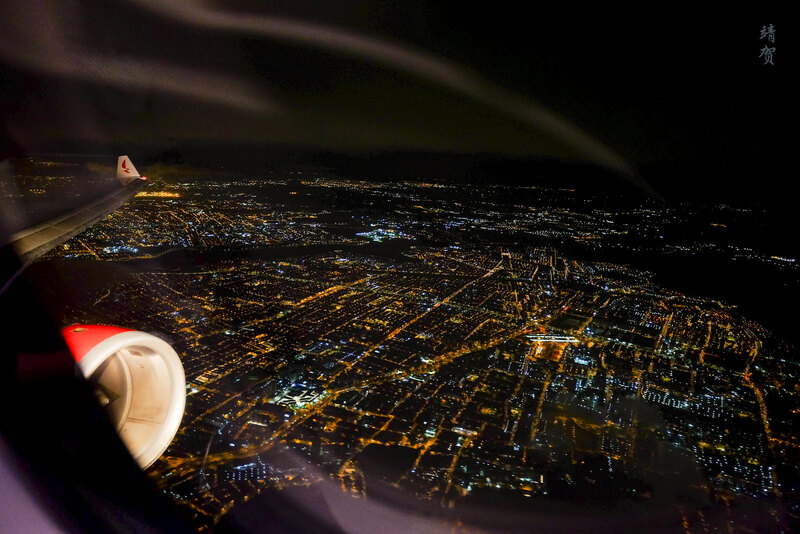 Eventually we landed at 06:00 in New York’s JFK airport with the skies still dark outside. For the early morning flight, there was fortunately not too long of a wait for immigration and customs so the landing experience was not that bad since we were still a bit sleepy. 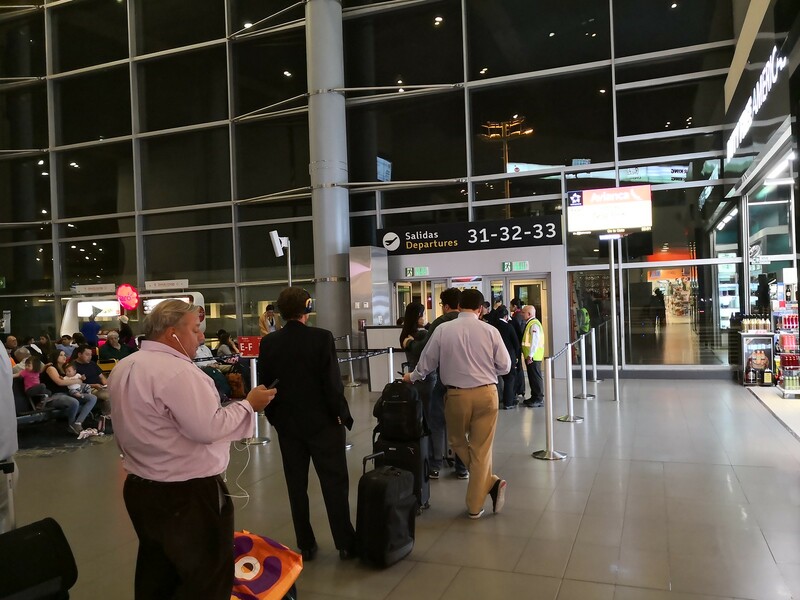 Such short red-eye flights are not the best since the flight is really too short for a decent sleep but the delay actually worked in our favour since we would have arrived too early for check-in at our hotel. 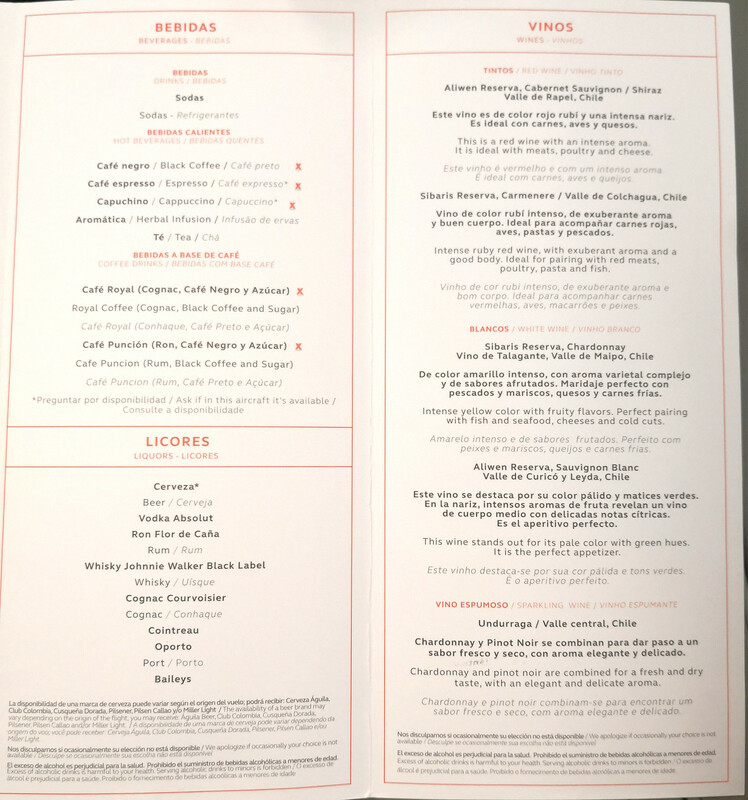 One improvement I would have preferred was a simple yet delicious breakfast service before our arrival instead of the bad and unappetizing supper service. 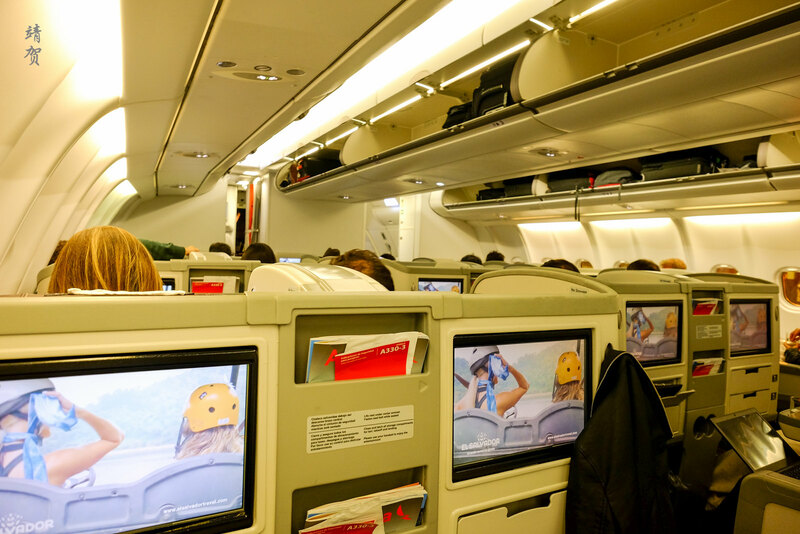 A full lie-flat bed found in Avianca’s 787 would also be most welcome as well. 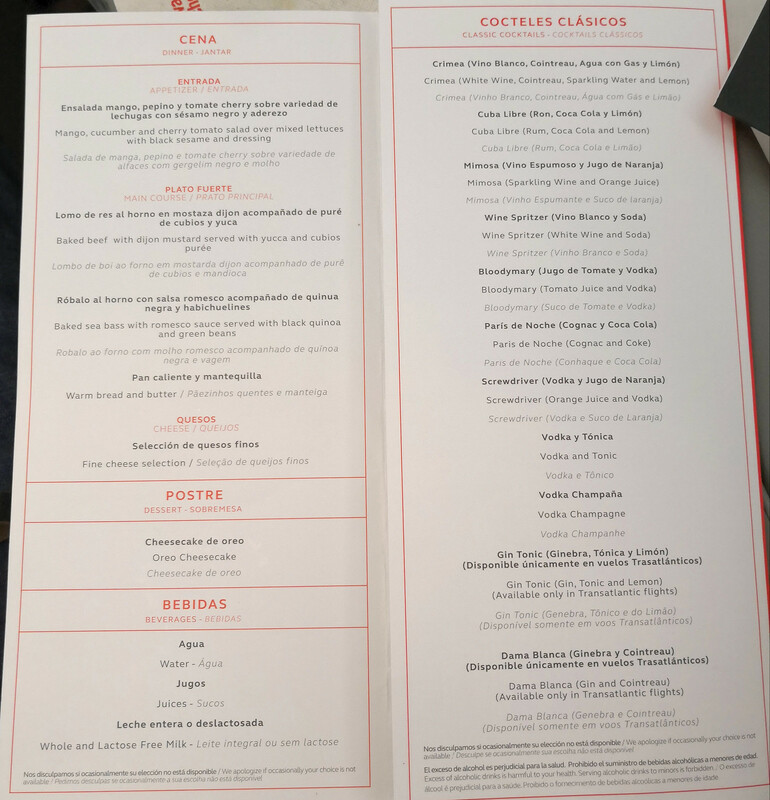 Thus this was just another average Business Class flight and definitely not the best way to get to South America from New York.